For every ambition, there is a way! With JetMass – your workout goals are closer to being accomplished then they were before! 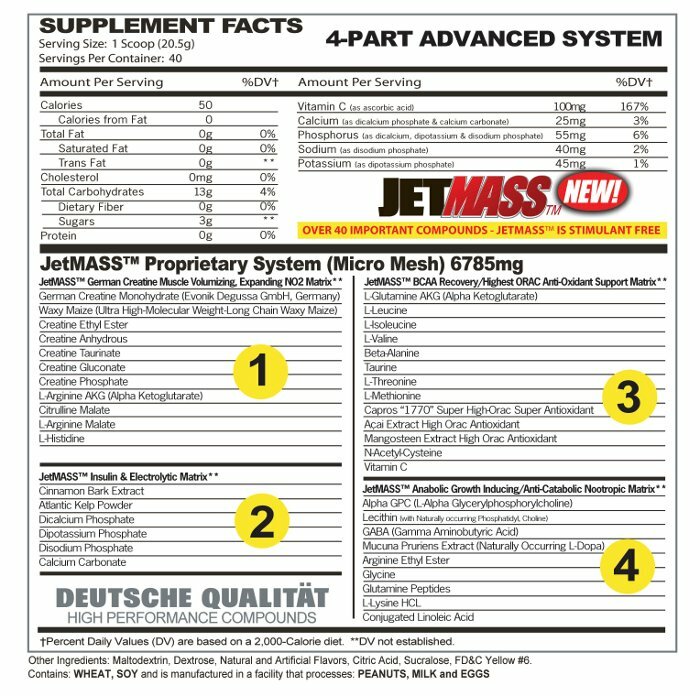 JetMass is a post-workout supplement designed to improve your recovery and still enhance muscle strengthen and performance. It increases the volume of your muscle cells, fights fatigue, and increases muscle ATP supply with the magic of glutamine and a strong component of creatine. JetMass is guaranteed to speed your recovery process allowing your body to promote protein synthesis and train harder each time after. This product also supports the function of insulin allowing your body to replenish your glycogen stores after each training session. 5 grams Creapure Creatine Monohydrate, a source of pure Creatine manufactured in Germany. Contains 13 grams of carbohydrates, Waxy Maize, Maltodextrin and Dextrose to promote creatine uptake by spiking insulin. Contains Phosphates to buffer the build up of lactic acid from strenuous training. 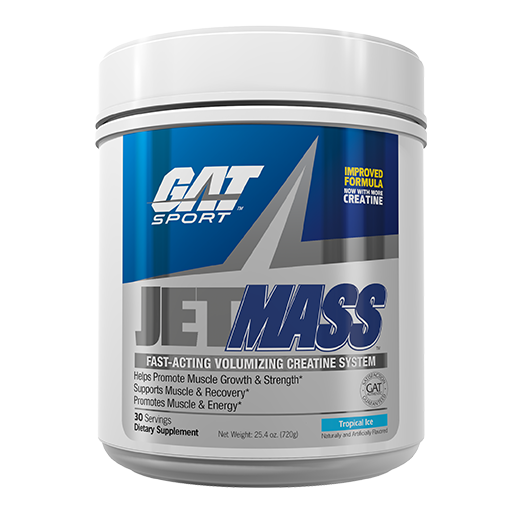 Contains 2 grams of Glutamine plus BCAAs to support muscle anabolism and recovery.